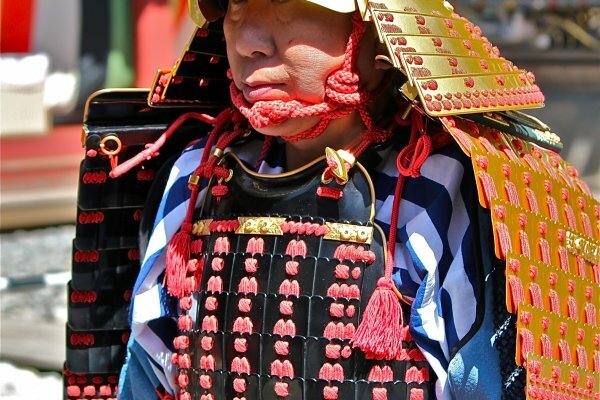 Also known as Hyakumonozoroe Sennin Gyoretsu, the 1,000-person procession of Samurai is held annually at Toshogu Shrine in Nikko. 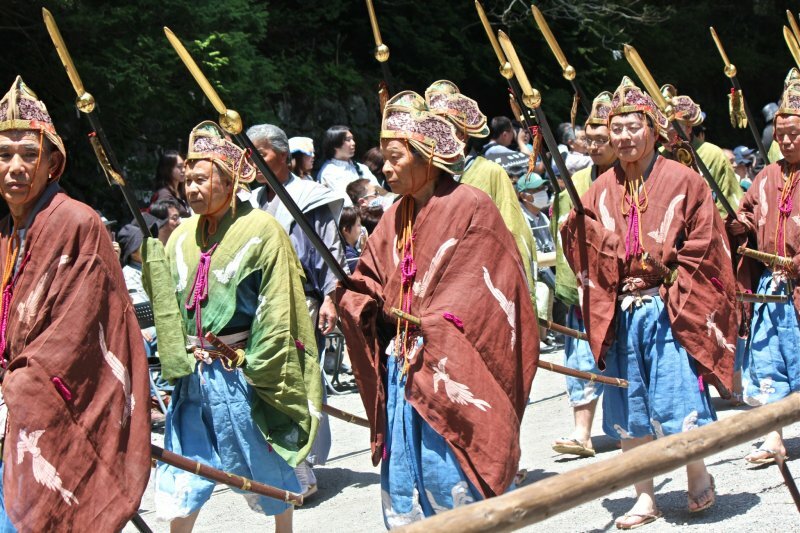 Designated as a World Heritage site since 1999, thousands of locals gather at Toshogu to parade in Nikko’s traditional warrior attire. 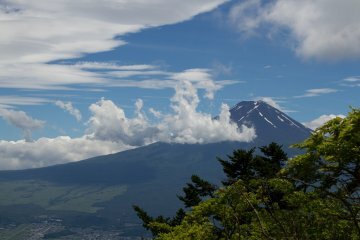 The Togyosai festival usually takes place annually on May 18th (this year, a Sunday), when the portable shrines move to the Otabisho through the 1km long road at 634 meters high (the same elevation of Tokyo SkyTree Tower). The procession is divided into three groups such as "Three sacred horses," "Shinken-mihata," and "Three portable shrines." 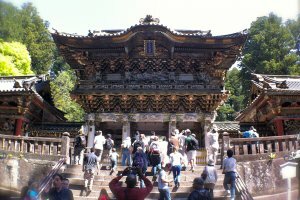 Each group goes forward as if they guard each other. 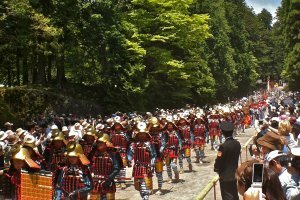 Be advised this is a procession and not a festival with music, food or entertainment that you might be accustomed to seeing. 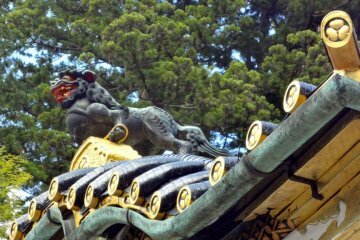 It is a reenactment of Divine Spirit of Ieyasu Tokugawa when it moved from Mt. 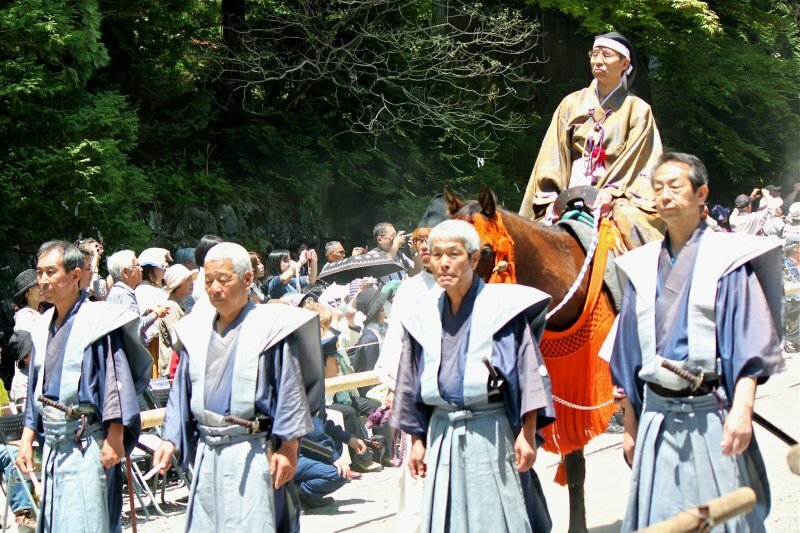 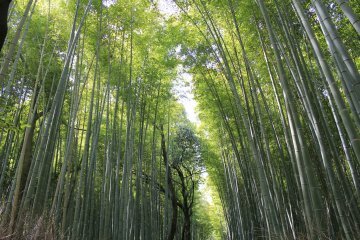 Kuno to Nikko and each ceremony has a religious meaning. 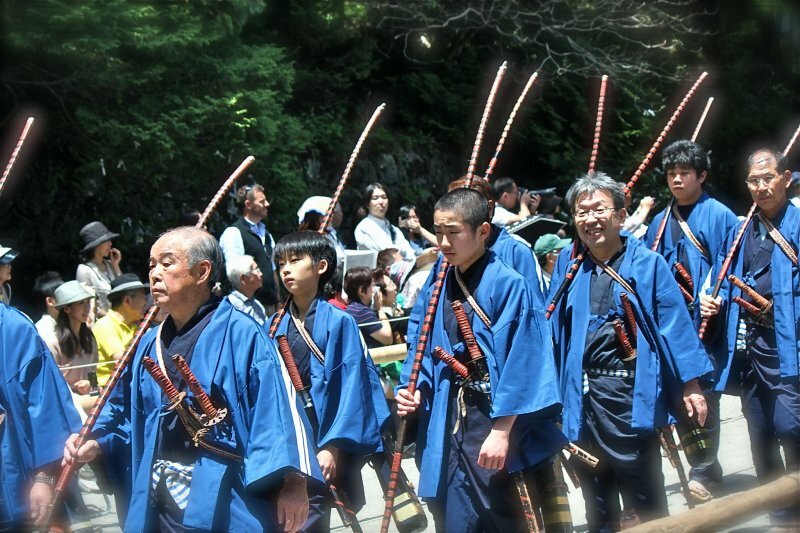 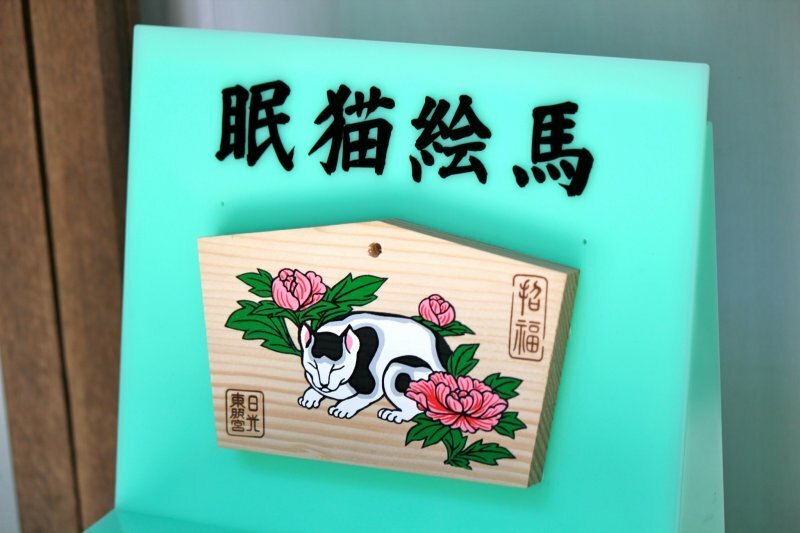 The festival is actually a 2-day event that begins this year at 10:00am on Saturday, May 17, when family members of Tokugawa attend the ceremony. 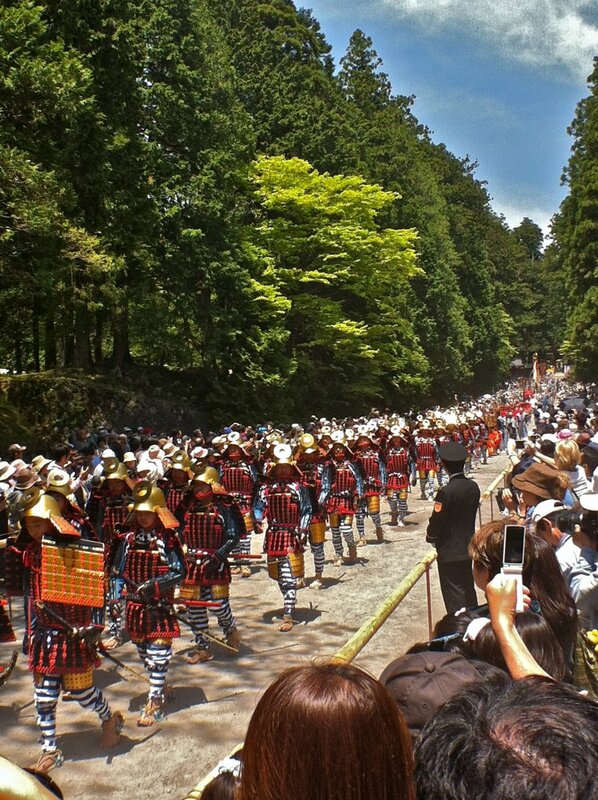 The samurai procession follows the next day at 11:00am. 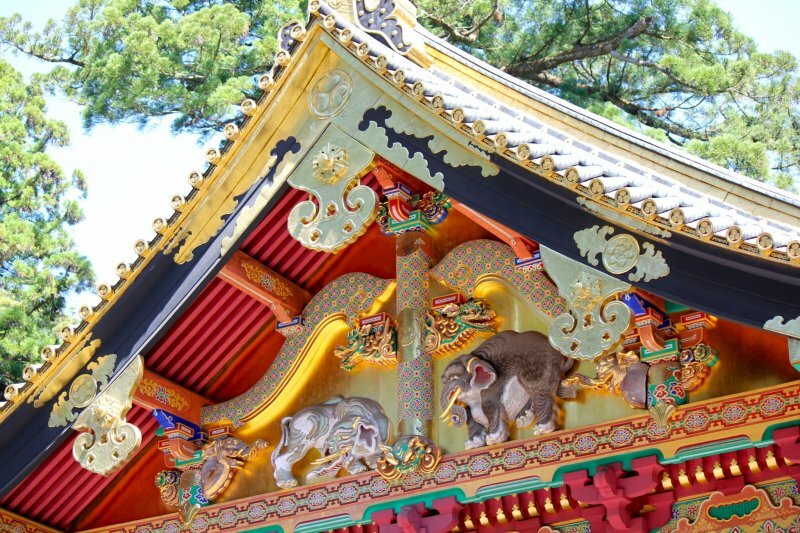 There are many things to discover while you’re at Toshogu Shrine. 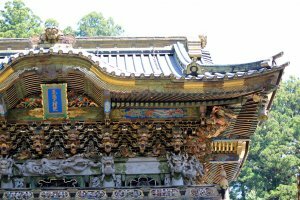 Constructed as the mausoleum of Ieyasu Tokugawa in 1617, this shrine was later rebuilt into the present impressive shrine under the reign of the Third Shogun Iemitsu. All the buildings here have been designated as National Treasures and Important Cultural Assets. 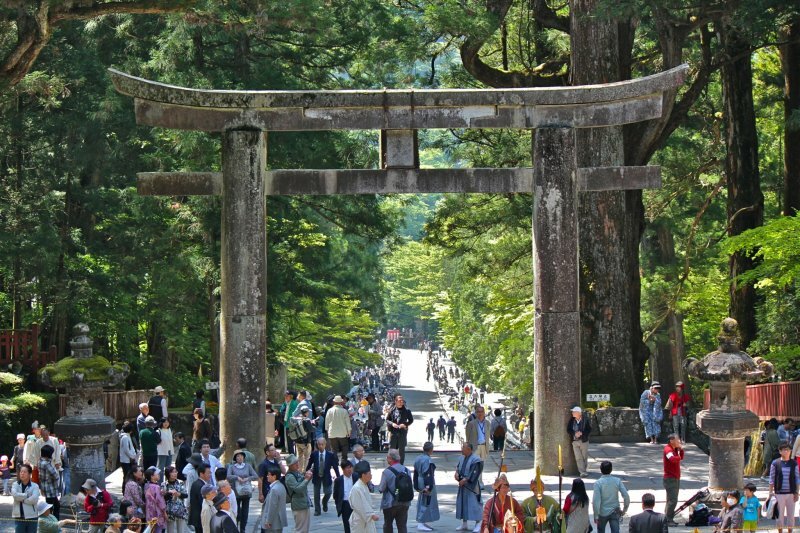 One of its gates Yomeimon is also called Higurashimon (twilight gate), because viewers never get tired of admiring its beauty all day till twilight. 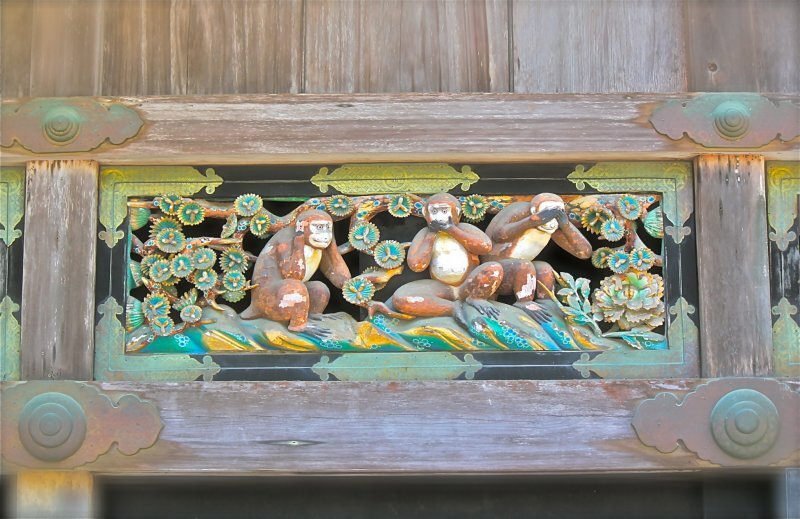 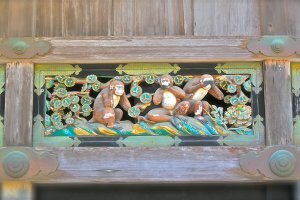 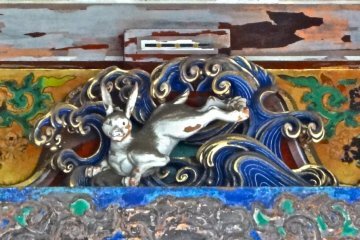 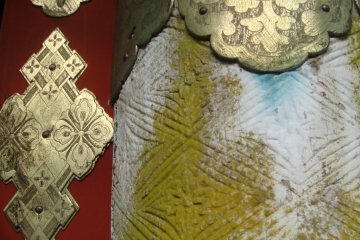 Visitors are also overwhelmed by as many as 5,000 ornate woodcarvings, including Nemuri Neko (Sleeping Cat) and San Zaru (Three Monkeys), which are the culmination of the supreme craftsmanship in the Edo Period. 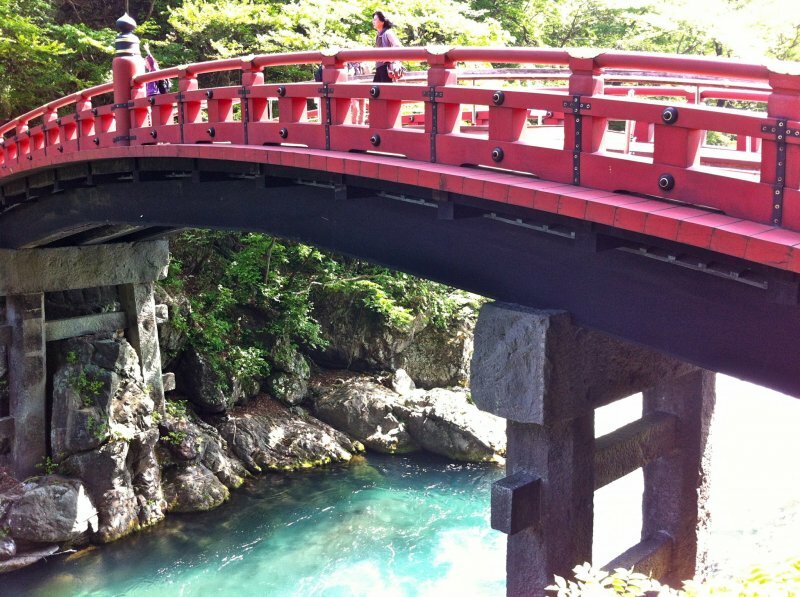 If you have time to wander, visit the striking red Shinkyo Bridge that stands at the entrance to Nikko's shrines and temples, and technically belongs to Futarasan Shrine. 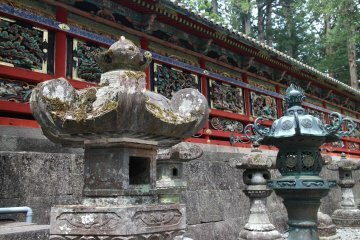 It is located along the way between the railway stations and Toshogu Shrine. 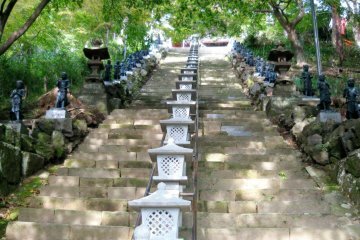 But easily accessed by foot as you ascend from the hills of the national treasures. 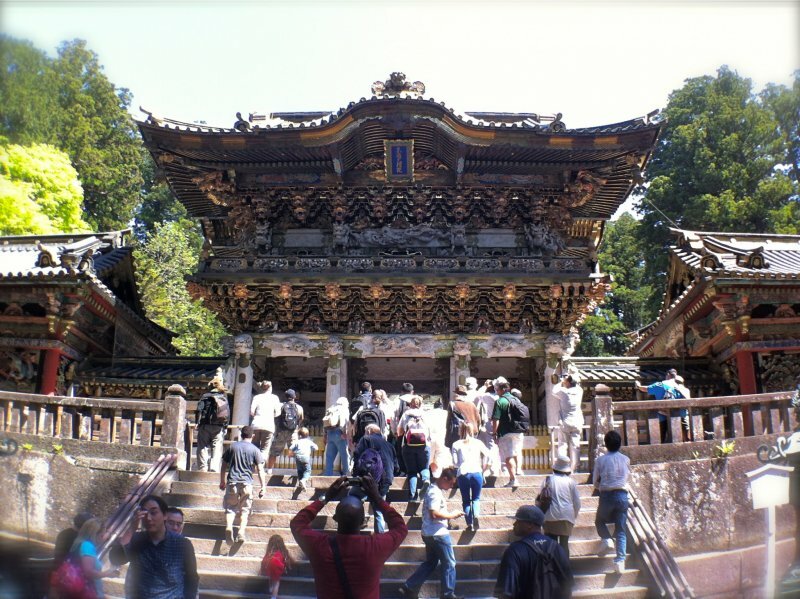 To access Nikko by train, bus or taxi, visit the Nikko Tourist Association maps. 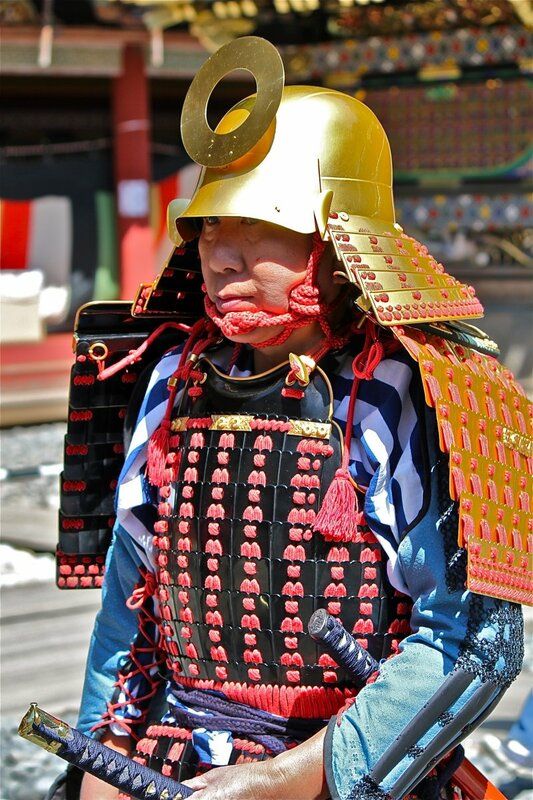 Due to the location of the procession, I highly recommend bringing water, a shade umbrella and a facemask if you are sensitive to flying dust along the dirt trail. 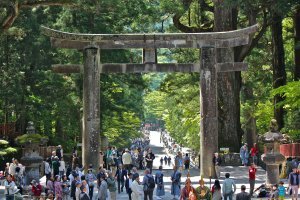 Entrance fees vary from 200 yen to 1,300 yen for Adults. 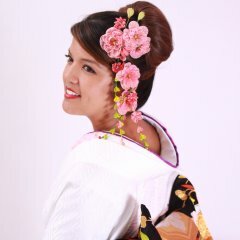 Refer to the website for more entrance fee details. 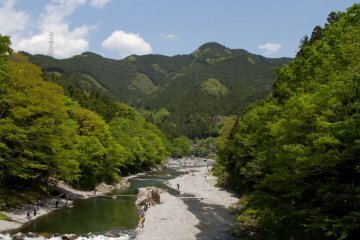 Mount Mitake & Mount Odake Day..